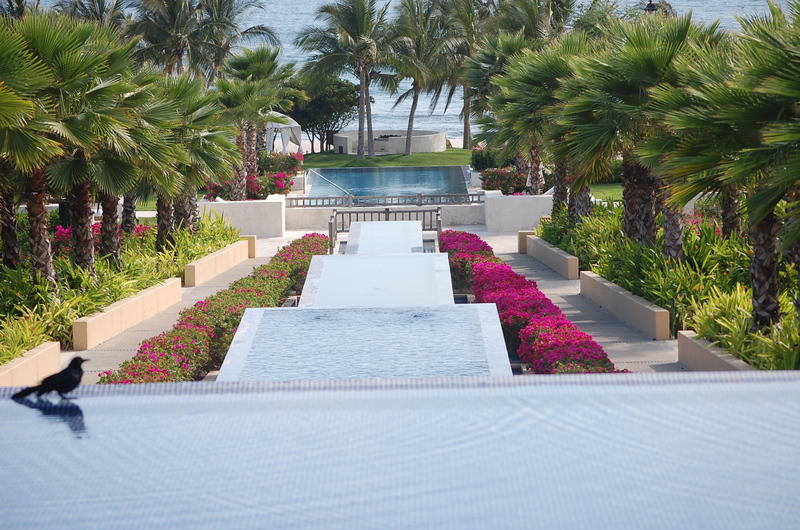 I’m so excited that my St. Regis Punta Mita article is finally published in the first issue of SoCal Family magazine (May 2011). I arrived to the resort over one-year ago and discovered one of the most beautiful places on earth and my new favorite vacation destinations. I dined at the resort’s signature restaurant, Carolina, named after the mother of Colonel John Jacob Astor, founder of the St. Regis hotel in New York. Outside on the terrace, staff members brought out sophisticated telescopes for guests to view the craters of the moon and other planets. Since the resort is located at the same latitude as the Hawaiian Islands, the temperature is comfortable and cool year round with the gentle sea breezes. Instead of following others to one of the outside bars for an after dinner drink, I strolled back to my casita, grabbed the down comforter and soft goose feather pillows off my bed and slept outside . My terrace had a queen size day bed. Sleeping under the stars and listening to the kissing sounds of the geckos lulled me to sleep. It was a pinch me moment that I will never forget.